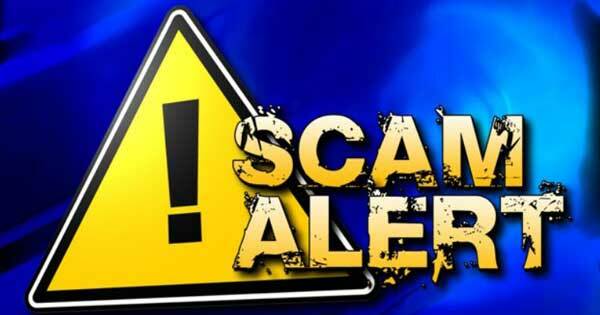 Scammers Targeting Clark Public Utilities Customers | Clark County Live! Clark Public Utilities is urging customers to be on guard against a wave of sophisticated scams targeting customers with phone calls, automated calls, and email phishing. Scammers are contacting Clark County residents by the thousands. They use spoofing websites to make the caller ID display “Clark Public Utilities” along with what appears to be a local phone number. The recorded message the customer hears sounds similar to the Clark Public Utilities automated phone system greeting. The person who then gets on the phone might even know the customer’s address, information that is available via other public sources, and will claim the customer owes an amount close to that of a typical power bill or two. It can be very convincing. Finally, the caller will threaten to shut off the power within minutes or hours if payment is not made immediately. The fraudsters direct the customer to buy prepaid debit cards from area stores, then instruct scam victims to call a given number back and provide the payment card information over the phone. Unfortunately, local individuals and businesses are falling for it, and as a public nonprofit utility, Clark Public Utilities cannot refund or credit the customer’s account. The utility encourages customers to report the loss to the police, but with this type of scam, it’s unlikely customers will recoup the losses. Other scams may include emails that appear to be from the utility prompting customers to follow a link to update account information or make a payment. Customers managing their accounts online should be careful to type the utility’s website, www.clarkpublicutilities.com, directly into an internet browser and avoid clicking links from emails that may be a scam. For customers who are behind on utility bills, a call from the utility should never be a surprise. Clark Public Utilities will call or visit a home when bills are long overdue, but only after mailing several missed payment notices. Even in these cases, customers are encouraged to be cautious, hang up or close the door, and call the utility directly at 360-992-3000. Customer service representatives will never be offended because customers are careful. Additionally, any Clark Public Utilities employee visiting a customer home or business will have visible identification and can be location verified at any time by calling customer service. enforcement can eliminate this criminal activity, it’s imperative that we and our customers remain vigilant,” Nelson said. Clark Public Utilities is a customer-owned public utility that provides electric service to more than 200,000 customers throughout Clark County. The utility also provides water service to about 35,000 homes and businesses in the Hazel Dell, Salmon Creek, Lakeshore, Hockinson, Brush Prairie, La Center, Meadow Glade, Amboy, and Yacolt areas. For more information visit ClarkPublicUtilities.com or by calling 360-992-3000 24 hours a day, seven days a week. Clark Public Utilities has been ranked highest in customer satisfaction among mid-size utilities in the west by J.D. Power for eleven years in a row.